The Chilean Museum of Pre-Columbian Art presents the exhibition Free Fall, by the Chilean artist Josefina Guilisasti, curated by Alexia Tala. It is a video-installation, which intervenes the museum’s permanent exhibition to reflect about the vulnerability of our archaeological heritage and our ambiguous relationship with objects and memory, especially memory of the indigenous Latin American created by creoles and foreigners. It is the first time a contemporary art intervention has found its way into the galleries of this museum, so this exhibition represents a significant artistic gesture on the part of the artist and curator. However, even more important is the gesture expressed at the institutional level, which opens a new and refreshing kind of dialogue with the museum’s collection and thence with a perspective that distances itself from modern and colonial thinking. 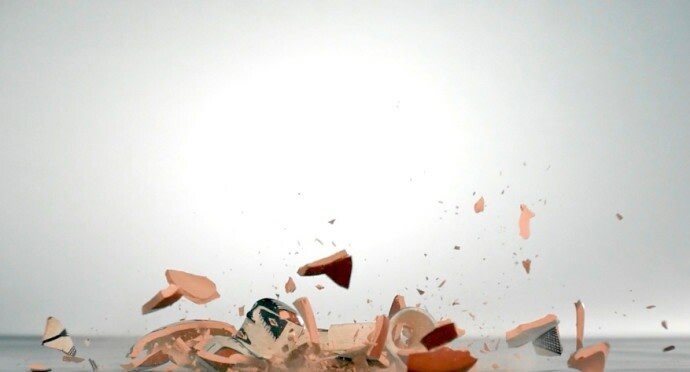 Eight high definition screens show replicas of ceramics from the ancestral diaguita and molle cultures falling in slow motion until they shatter on the ground. The sequences were shot on film and are the only items emitting light and movement in a large subterranean gallery filled with patrimonial objects, producing an intense visual impact. 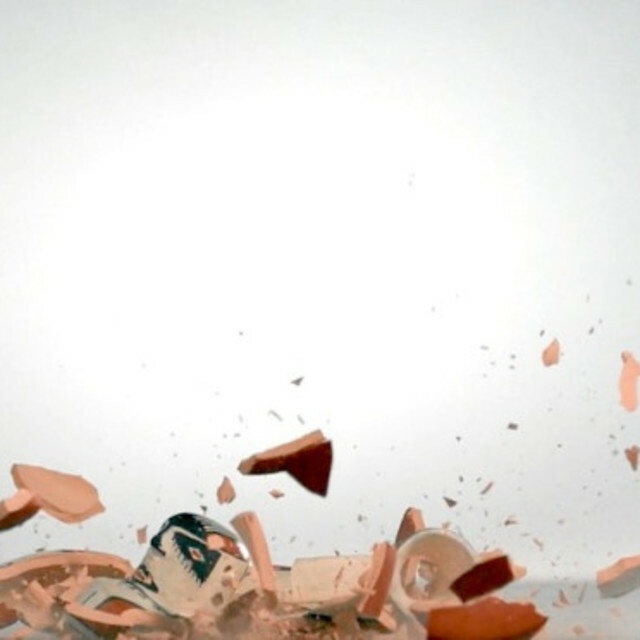 The title of the video-installation points to a series of paradoxes: “free fall” as abandonment and surrender, but also degradation and imminent destruction, which relate to the celebration of identity and cultural integrity. The exhibit places the objects in evident conflict, breaking with the solemnity of the space, converting it into a living space but without losing its reflexive character. The image of the fall is impressive and allegorical. In the abstraction it insinuates, one perceives a sort of liberation from time that recalls the genre of the still life, in which objects and time are the theatricalized protagonists par excellence. Chilean Museum of Pre-Columbian Art is Chile’s most important institution for the custody, study and diffusion of the material production of the country’s native peoples. In a privileged location a block away from Santiago´s Plaza de Armas, it opened its doors in 1981, housed in an imposing building of the colonial era built in 1805.